Hey everyone you can click above to listen to my pod cast about this project. Here is the Before and After of the project. Hope you guys like it! Sorry for the glare! Isnt this color so cute! I love the new color. 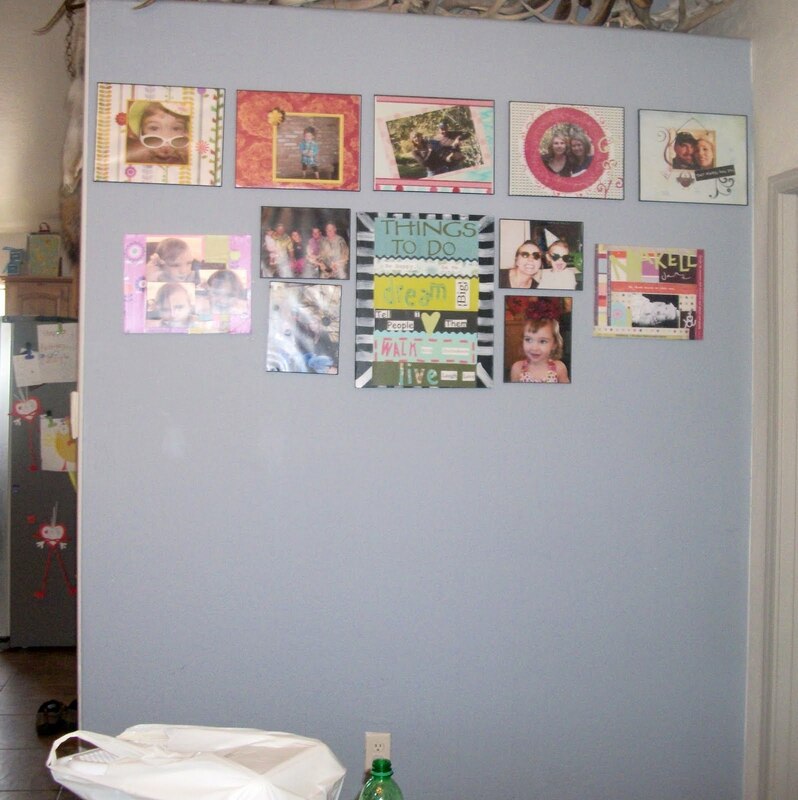 Your wall looks nice. My best friend just used this color in her master bedroom, I like it so much I'm going to use it in our craft/school room. 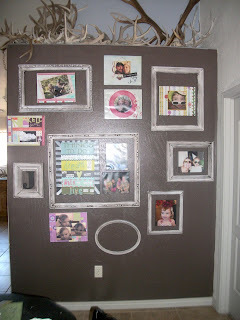 I like the idea of the large frames around the others. Great job!